We offer email newsletter services that will enable you to connect with your audience through unlimited emails. We offer mobile-friendly templates that don’t require any coding experience or you can design yours from scratch. Whether you need to tell a story, share some important news, or sell products, our campaign builder makes it possible for you to start email campaigns with the appropriate message of your liking. You also get to engage your subscribers with royalty free images in our database or upload your own. Optimize your email list by segmenting it based on people who read particular emails or try to re-engage those who did not. You can also segment the emails based on gender, where they live or special interests that are recorded in your client information. We offer this service which will in return connect you to a wider audience and translate to selling more products and services. It also eases the pressure of doing manual tasks by automating pre-built marketing strategies. 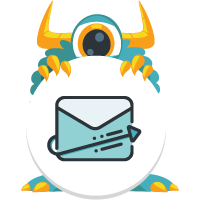 You can also schedule automated email newsletters for a future date. If you are running an eCommerce business, you need this service to remind customers of their abandoned carts or make them revisit your website once more.